The facilities management industry is constantly evolving due to technological innovation. Right now, automation technologies are revolutionizing the industry by streamlining and simplifying work processes, plus taking mundane responsibilities off of facilities managers’ plates. Adopting automation technology has a host of other benefits, such as reducing repair and maintenance spend by more than 30%, improving contractor relationships, and boosting asset reliability and longevity. When connected to your FM software system, AI, or artificial intelligence, allows for real-time notifications, alerts, and solutions to issues that may arise. Maintenance costs tend to take up the majority of a business’s facilities management budget. However, uncovering ways to reduce maintenance costs can be tricky, given a data-driven strategy requires extensive analysis – and manual spend data analysis often leads to inaccurate, costly conclusions. Unlike humans, who are limited by memory capacities and speed, and are vulnerable to error, AI can track endless variables and data points to look for correlations and patterns at lightning speed. 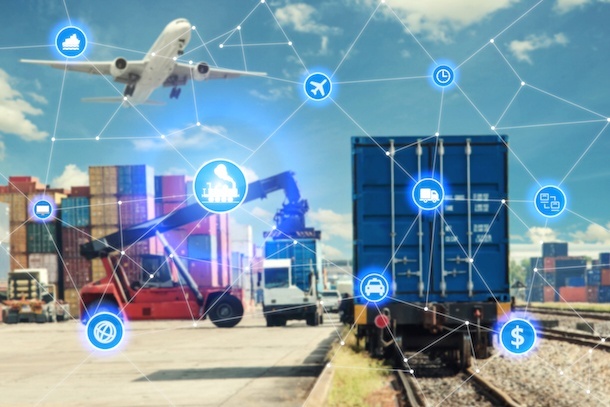 Thus, AI can monitor all of your equipment, keep accurate records of its health, alert you if anything is awry, and identify inefficiencies that result in unnecessary spend. The Internet of Things (IoT) is comprised of interconnected equipment and machines that receive and send data. In facilities management, IoT devices can range from HVAC systems to lighting controls to elevators, all integrated into a building network. IoT benefits facilities management by fostering communication across equipment systems. This boosts efficiency and provides vast amounts of control over facilities environments. Many FMs are already using IoT to monitor and control systems in real-time from off-site, meaning they can address issues as they happen. Analytics capabilities are a key component of IoT technology, so your team can effectively gather and draw insights from the vast amounts of FM data. Through IoT analytics, facilities managers can gain valuable insight into daily operations and identify areas for improvement, such as energy use or planned maintenance spend. Service automation technology automates workflows to enable quick, easy, and efficient repair and maintenance management. When FMs streamline their processes with intuitive technology like service automation, they can validate work performed in the field, manage risk, keep track of all service requests, and complete proposals and invoices with ease. Using this technology, facilities managers can manage multiple business locations’ R&M through a single, easy-to-read dashboard. Service automation automates workflows across all areas of FM operations, from contractor sourcing and monitoring, to the work order life cycle, asset management, invoicing, and analytical insights. Key beneficial outcomes of this technology include enhanced visibility, data-driven decision-making, greater overall efficiency, and lowered operational costs. Smart buildings incorporate an automation system to monitor and manage all aspects of buildings’ environments independently, including mechanical, lighting, climate control, and ventilation. These technologically-advanced buildings can help reduce FM operational costs by keeping building climates at certain ranges when employees are not present, turning lights off when they are not needed, and monitoring systems for performance failures. This typically results in both energy and insurance savings. Enhanced security is a key benefit of smart buildings, and there are now numerous technologies that can help keep facilities safe and secure like surveillance robots, drones, and intelligent movement tracking. All of these security automation technologies are self-governed, using their own “thinking” to decide where to go and what to do. This takes managing day-to-day building security off of FMs’ plates while also increasing the safety of facilities and those who use them. There’s no denying that FM teams can benefit greatly from automation technologies, but successful implementation relies on educating your users and getting the right support. Make sure your staff knows how to properly utilize automation systems to automate workflows and improve efficiency. Additionally, take advantage of technology providers that prioritize training and support; you want to be confident that you are utilizing automation to drive success and maximize ROI. Keeping up with the automation technologies revolutionizing the FM industry will help set your organization up for success in modern markets. Learn more about automation technology and how your business can derive the greatest benefits, from cost-savings to enhanced efficiency.